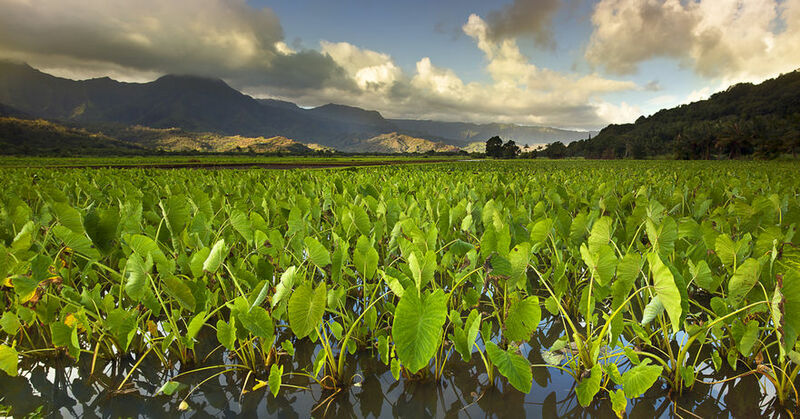 A wide-angle view of a taro field in Hanalei. 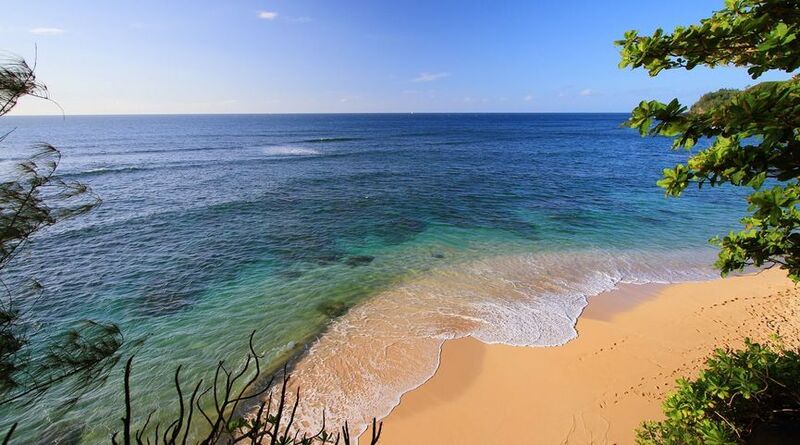 A beautiful photo of the sea from Mahaelepu Heritage Trail, near Shipwrecks Beach in Poipu. 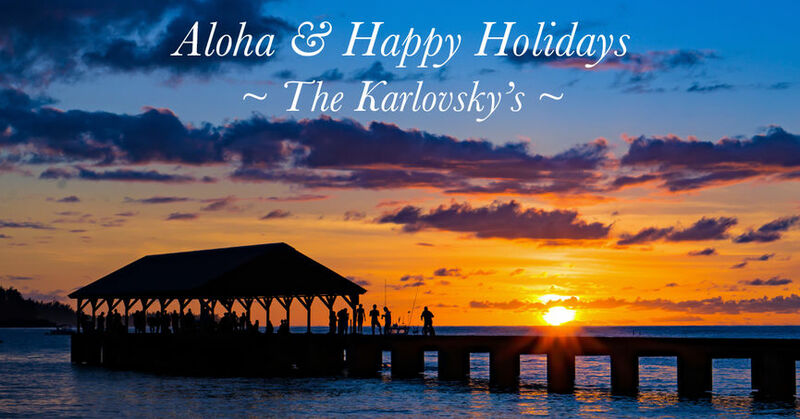 Sending holidays wishes and warm aloha from Kauai. 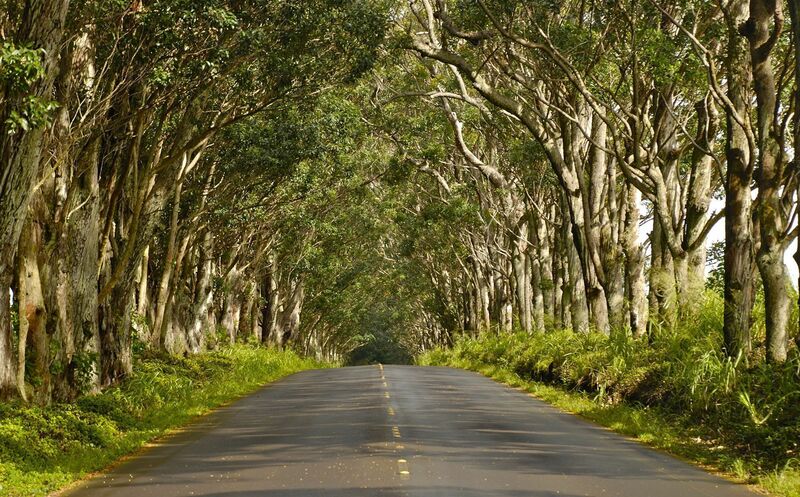 Beautiful image of the Koloa tunnel of trees found just outside of Old Koloa Town on the south shore of Kauai. 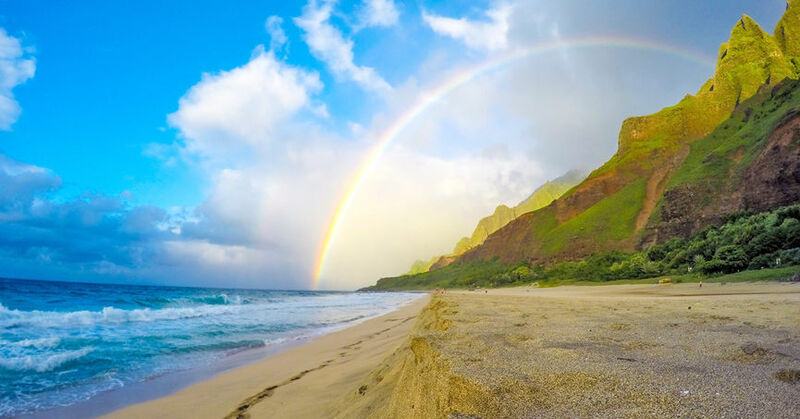 A beautiful arched rainbow ranging from the mountains all the way down to the sea. 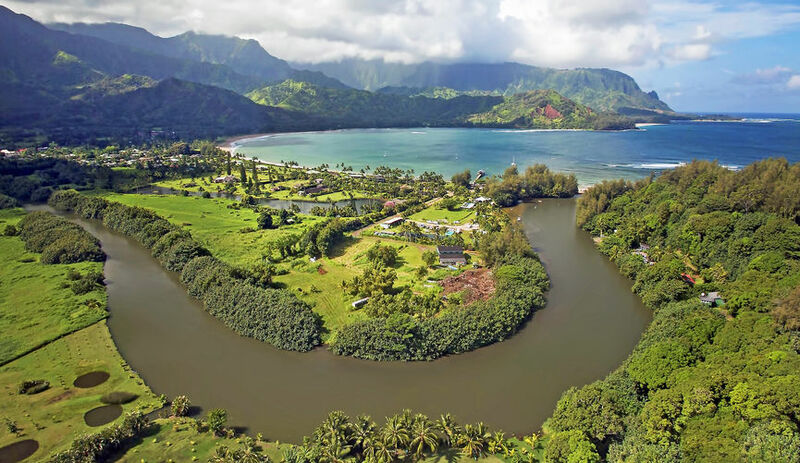 Aerial view over the Hanalei River and Hanalei Bay, looking towards the mountains. 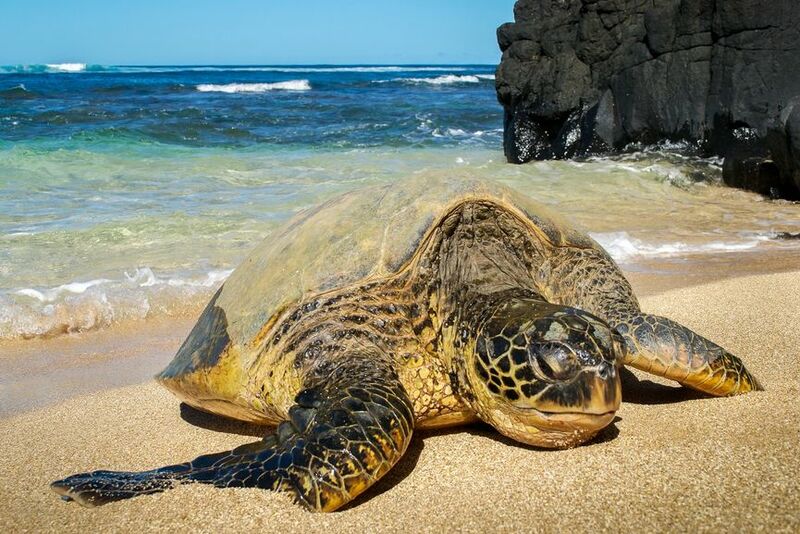 Up close and personal with a sea turtle resting on Secret Beach, located in the town of Kilauea on the island of Kauai. 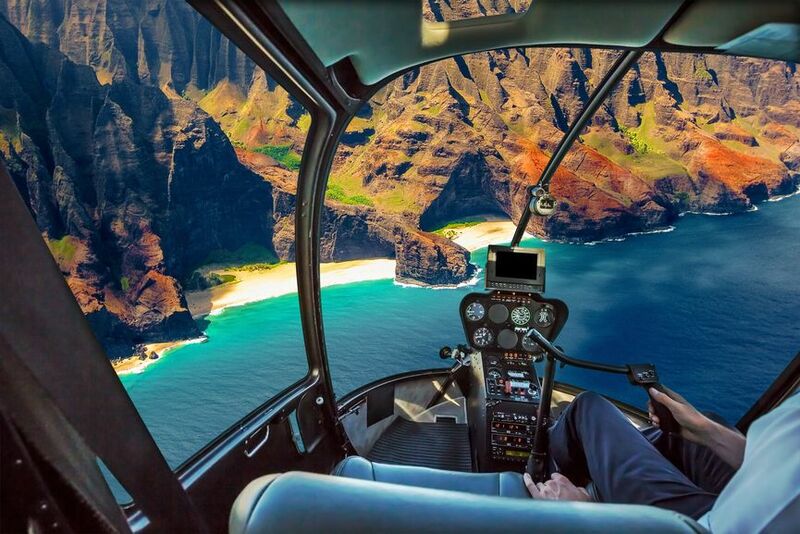 View of the remarkable Na Pali Coastline as seen from the cockpit of one of the many tour helicopters on the island. 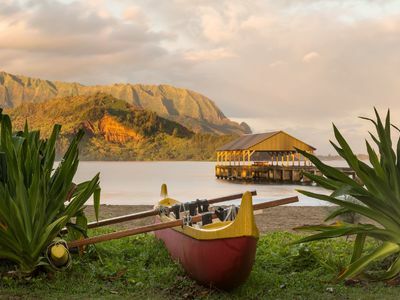 A beautiful photo over Hideaways Beach in Princeville taken from the hiking path located behind Pu’u Po’a. 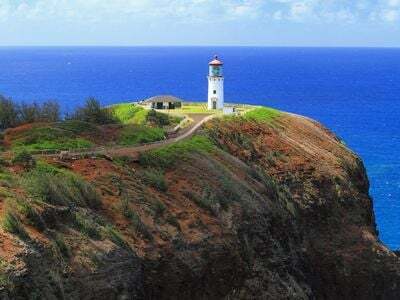 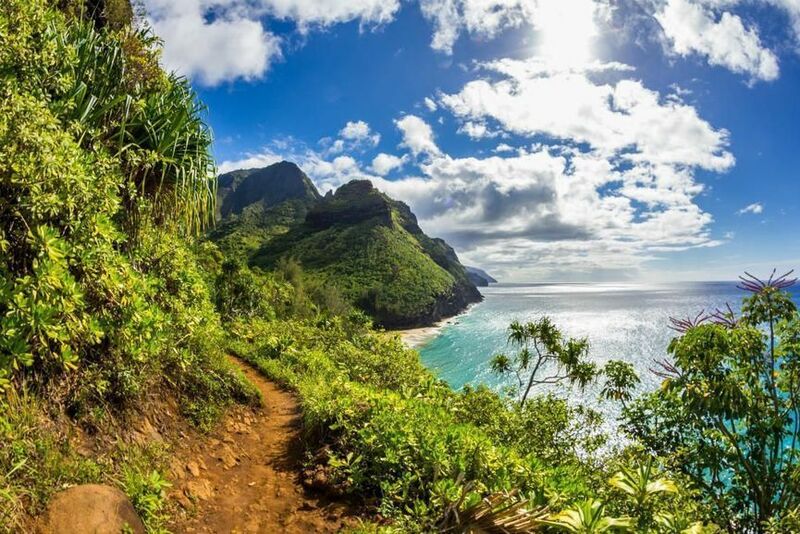 Beautiful view from the Kalalau Trail, located on the North Shore of Kauai. 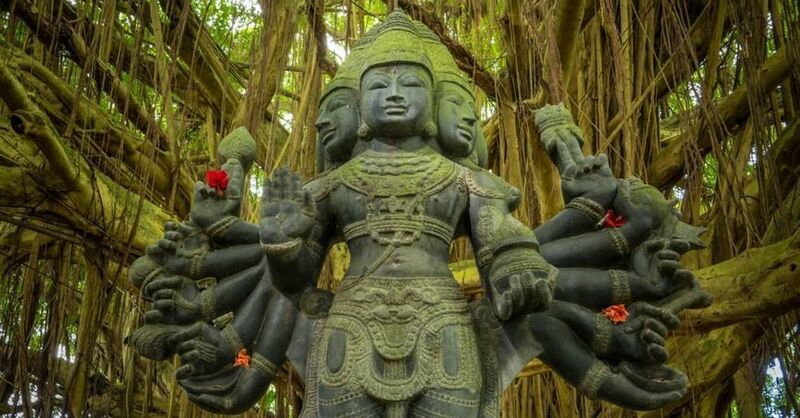 This statue of Lord Shanmuga is found inside a great banyan tree at the Himalayan Academy at Kauai’s Hindu Monastery, located in Wailua. 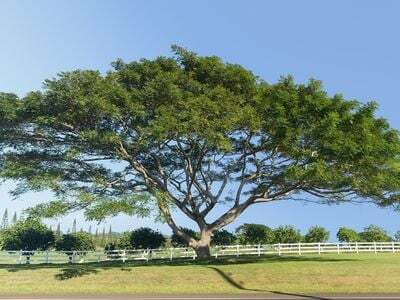 Lord Shanmuga is the deity of yoga, spiritual effort & healing. 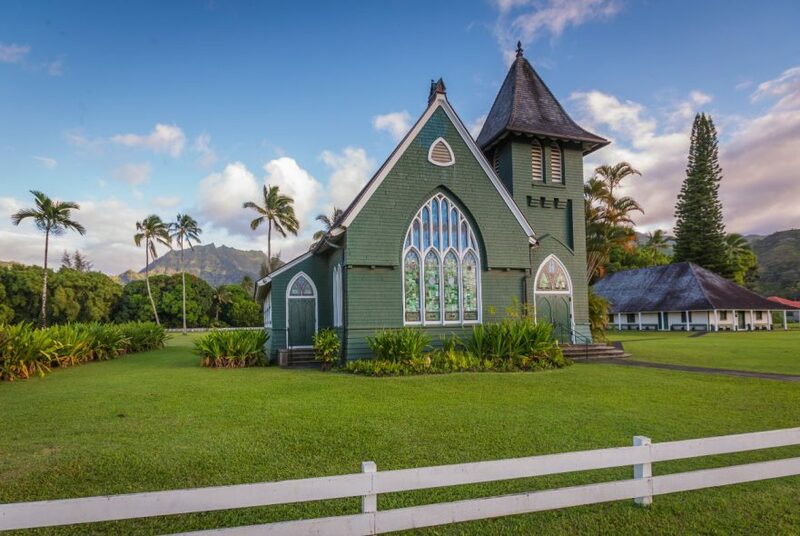 To learn more about the Kauai’s Hindu Monastery, CLICK HERE. 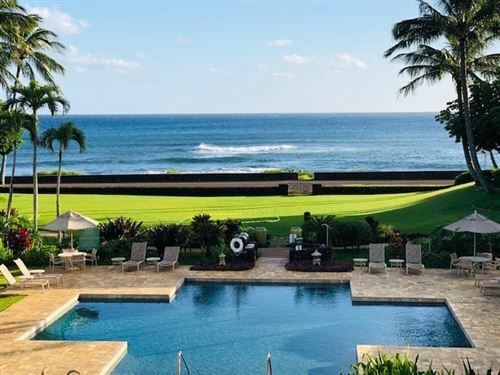 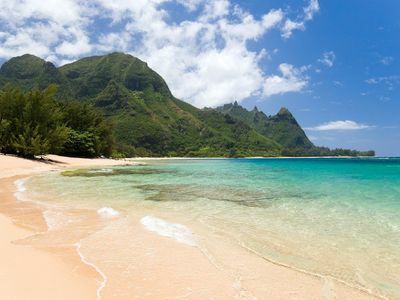 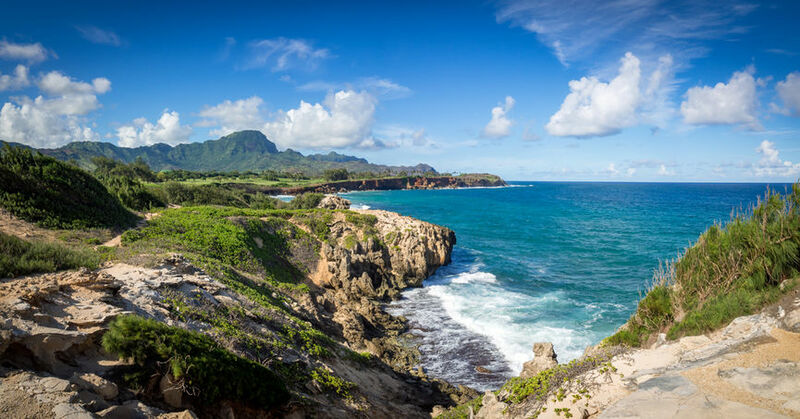 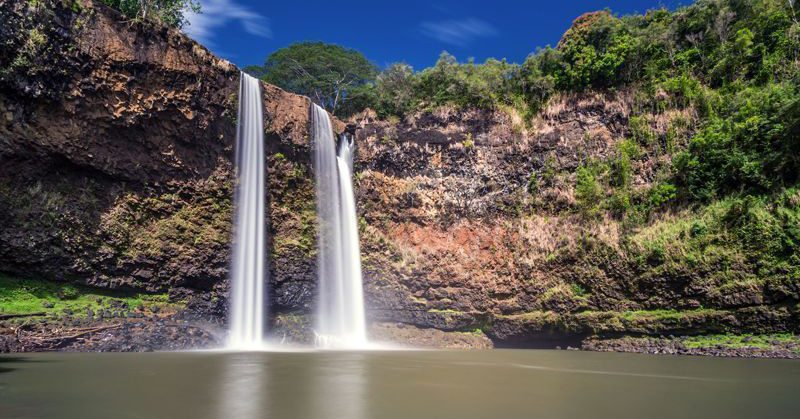 To learn more about Wailua, Kauai, visit the Wailua Information Page. 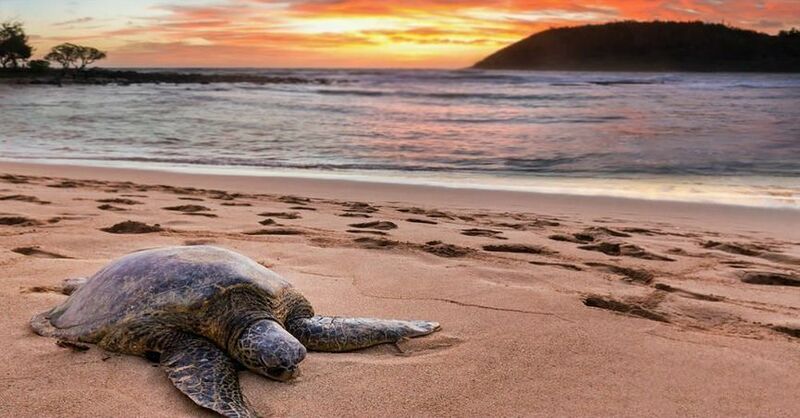 Photo of a beached sea turtle on Moloa’a Bay soon after sunrise. 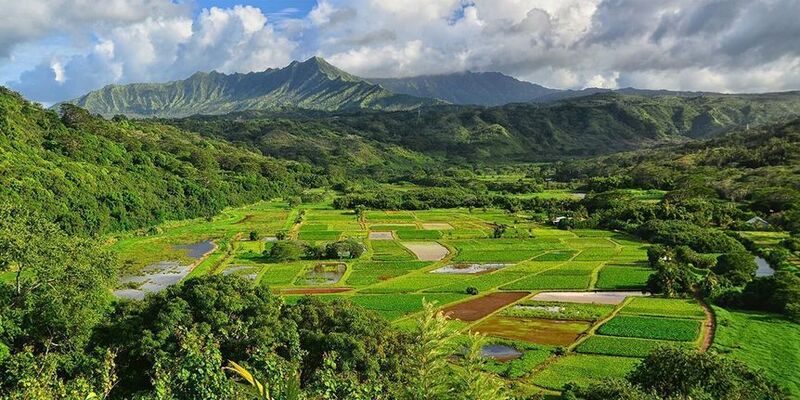 A view of the Hanalei taro fields from the lookout in Princeville.